This article provides an overview of a service called Text to 911. The service is in the process of rolling out to cities in the United States. I’ll explain what it is, who uses it, and the proper procedures to follow in an emergency. 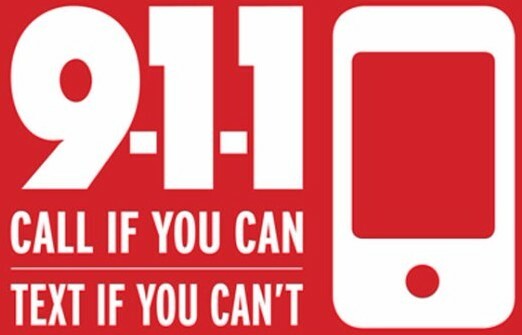 Text to 911 is a service that allows a mobile phone or other electronic device to send an electronic text message to reach 911 emergency call centers. In August of 2014, the Federal Communications Commission (FCC) began requiring all wireless carriers (e.g. AT&T, Verizon, Sprint, etc.) to deliver emergency text message to Public Safety Answering Point (PSAP) that request them. PSAPs are essentially emergency call dispatch centers. If one of these organizations requests the text-to-911 service, the providers must deploy the service in that particular area. Typically, they must do so within a six month period. Who is Using Text to 911? Eventually, the text-to-911 service will be available across the country. However, the service is currently only available in certain markets where 911 call centers have elected to implement the service. At the time of this writing, the FCC estimated that a little more than 10% (approximately 650) had the ability to accept text messages. That’s out of more than 6,000 dispatch centers around the country. With the recent spike in mass shootings, police departments are exploring ways to leverage technology. They feel that technology could be used to facilitate emergency communication. More and more PSAP’s continue to make the transition to implement the system every year. Another great benefit of the service is that it allows who are deaf or hard of hearing to use the service to get in touch with police. For example, a deaf woman who lives in Alpharetta, Georgia, used the service to contact local police. She used it to report that she saw two children locked in a car in a shopping mall parking lot. Local police received the message and were able to rescue the two children safely. In another example, a teenage girl sent a 911 text to submit a false report. She falsely reported there was a person with a gun at a high school in Marietta, Georgia. After determining the report was bogus, the police later arrested her at her home. Before you find yourself in an emergency situation, check with your local police department to see if the PSAP in your local area supports the messaging functionality. If they confirm it is available, use it only if you’re unable to make a call. Since the service is not yet widely available, there is a possibility that the system is not available in your area. You don’t want to find yourself in a situation where you think that you can send a typed message for help, only to get a bounce-back message (see below) that the service is not available. Text-to-911 is intended to be a complement to, not a substitute for, existing voice-based services. If you’re in an emergency situation, your first option should be to make a voice call. If you’re unable to make a voice call, try the text option. In general, the system has been well-received by government officials and there is consensus that it will help save lives. Consider the situations in which having the ability to send a text message instead of making a phone call would be used. In certain situations, a person must hide or be completely quiet, such as with a hostage situation, kidnapping, or a robbery. Quietly and discreetly sending a message could save someone’s life. Emergency officials continue to be clear that the preferred method of contacting emergency services is via a voice call. This allows the dispatcher to gather more details quickly. Plus, it helps them get a feel for the callers stress level, emotions, and nature of the call. There are all difficult to ascertain via an electronic message. One important note is that emergency responders can’t automatically see someone’s approximate location when messages are sent. So if you’re in an area where the service is available, be sure to provide an address or location upfront. Really, it’s a good idea to be as descriptive as possible, if you have time. The FCC continues to explore additional issues about text-to-911. Ongoing issues include having the ability to include location details, roaming support and real-time communications. So, what happens if you attempt to send a message to 911 where the service is not yet available? The Federal Communications Commission (FCC) requires that all wireless carriers and other electronic messaging providers to send a “bounce-back” message. The bounce back message is intended to let you know that the service is not yet available in your area. Instead, you should contact emergency services by phone. As the service becomes more popular and begins to spread nationwide, this feature will become more and more important. If you have any questions about Text to 911 capabilities, please post them below.